Helping Winemakers Make Better Wines and Build Better Wineries! We strive to make winemaking more effective and efficient by offering powerful tools and innovative capability to top wine producers through the newest global technologies and innovation. Ultrafilterwine to understand the benefits of intensifying color or flavor. Conduct alcohol removaland alcohol addition trials to find the perfect concentration for your wine's structure. Understand the impact of taint removal including Brettanomyces, smoke taint, volatile acidity, geranium taint, sulfur-like odors (SLO)and pyrazinefrom under-ripe fruit, Asian lady beetlesand stink bugs. Use Test Track bench trials and Winesecrets' 15 years of experience to mitigate off-aromas and unidentifiable characteristics in a wine. UX-520 High Color Wine: UX-520 is a concentrated vinifera red wine. Produced with a patent pending process of Flash Détente and Ultrafiltration, UX-520 will intensify red wine color increasing intensity without the sugar that comes from concentrate products. Premium Grape Spirits: Winesecrets offers Premium Grape Spirits. Distilled from wine, these products with three levels of alcohol content (170, 180 & 190 proof), will provide you with the alcohol you need to meet stylistic requirements, ABV regulations and spot sanitation needs. Winesecrets provides America's wine producers with separation technologies that improve efficiency, eco-performance and wine quality. We deliver technologies to North America's wine producers with unparalleled service, expertise and dedication, meeting the growing need for environmentally sustainable production methods, and solutions for some of the problems posed by the changing climate. Winesecrets offers a variety of wine filtration technologies. We learned that the most formidable barrier to the adoption of environmentally friendly technologies is capital investment. We broke this barrier by mounting the equipment on trailers, and offering these technologies as a mobile service, greatly reducing the cost of use. Winesecrets branded U.S. and Canadian companies operate in California, Oregon, Washington, the B.C. Okanagan Valley, the Niagara region of Ontario Texas and U.S. Mid Atlantic Region. Which uses extremely high pressure and very small (>200 Dalton) pores to separate small molecules so that they may be selectively removed without effecting the larger color and flavor components of the wine. Our wine reverse osmosis technology is used to fine-tune the concentration of alcohol in wine by alcohol removal, and for wine taint removal such as volatile acidity, wildfire smoke and 3-ethyl phenol. In must and juice, reverse osmosis is used to reduce water concentration, increasing flavor components. Volatile acid removaluses reverse osmosis to remove a variety of undesirable flavors from wines. Smoke Taint removaluses reverse osmosis to remove undesirable effects of the grape crop being exposed to smoke from wildfires. Wine concentration and alcohol adjustment use reverse osmosis to change the amount of alcohol in wine, either by increasing the sugar in the juice before the wine is made – desirable in cold climates – or by removing alcohol from finished wine in warm climates. Must concentration uses reverse osmosis to reduce the amount of water in the juice prior to fermentation to increase to potential alcohol. Uses pressure and small pores to remove solid particles from the wine, while a tangential flow along the surface of the membrane prevents the pores from clogging. Wine clarification by cross-flow micro-filtration removes solid particles from the wine, improving flavor, clarity and appearance. Winesecrets’ process is a readily portable replacement for filtration with diatomaceous earth, pads and other disposable media. Crossflow microfiltration provides clear wine with less loss and less stripping than filters with disposable media. Best of all, there is no mass of used D.E. or pads to be thrown in the trash. Incorporating cross-flow type technology we offer three different membranes sizes to achieve the customer’s desired goal. Operating at lower pressures and larger porosity than RO, ultrafiltration has been successfully used but not limited to clarifying hard press white wine or juice without needing fining agents, legally concentrating weak red wine color and tannins, removing frost damage characteristics, and greatly reducing processing loss. Rather than sell your hard press juice or wine at a reduced rate let us help you increase its value or even use it for your own program. Unlike other fining processes that permanently strip undesirable characteristics, if you go too far you can back blend with UF! We come to you. Convenient, efficient and professional. DT Cross Flow\'s are our choice with their high quality ceramic membranes. Available for mobile of in-house service! Winesecrets offers three blends of grape derived high proof. Our Original blend is ~170 proof, the infamous Premium blend is ~184 proof and the Pure blend is ~190 proof. Call us today for a complimentary samples box shipped to you! Now Available: UX-520 High Color Wine samples! Before you bottle, try out our new rich, dense wine for color addition that maximizes color pigments and minimizes volume, protecting your wines vintage, varietal, and appellation. Want to see for yourself? Contact us today to request a free sample! Winesecrets can give you the assistance you need to take your new product from the drawing board to the marketplace. * Product can arrive ready for packaging via tote or tanker truck. * Winesecrets\' suite of technologies allows you to get the product just how you want it prior to packaging. * Small Lot (500 gal) production allows minor purchases of alternative package material. Winesecrets has canned over 500,000 gallons of cider, wine and OTS Beverages for customers. Our highly trained, professional staff will provide your product with your exact specifications at our central location in Sebastopol, CA. Winesecrets' unique line of grape derived spirits perfect for fortification with it's high level of flavor infusion. Also a great choice for easy cellar sanitation. Check out the short video for insight into how our product options could be the perfect option for you! A look into Winesecrets\' specialized filtartion services that aim to make your wine shine, everytime! Sometimes a wine has taint and it\'s no fun. With our specialized equipment and decades of combined experience Winesecrets can target specific taints and take them to your target or below sensory threshold as applicable. Watch the video to find out more! We offer lab-scale trials on just about all our services so Winemakers can experiment with different options on a small scale without a large capital investment. Check out the video to learn more! Winesecrets can mobilize equipment to your facility to adjust the alcohol in your wines if you have a DSP! (which we can help you acquire, just ask!) Or you always have the option to ship all or a portion of your lots to our facility in Sebastopol CA for efficent and professional processing. Winesecrets provides systems for winery applications at your site, assuring proper installation, commissioning and operability. "The filter is down again"
With 20+ years of experience building and repairing tangential flow systems, our staff has worked on many ROs and other similar systems throughout the West Coast. "We should try a different membrane"
Winesecrets will provide options for improving your facility, ask us how we can help! We designed multi-functional reverse osmosis platforms to operate a suite of value added applications. Available in Boutique, Artisan, Medium, Production, and Corporate sizes, along with applications, available to view on our website. Click here to learn more. Our experienced team of experts have been building and repairing Reverse Osmosis (RO), Molecular ROs, Ultrafilters, and Cross Flow filters for 20+ years. You can expect a high level of experience and professionalism along with the membranes and spare parts you need to repair or maintain your high end filtration devise. Contact us today to request information about our products and services! Winesecrets has been recognized as a 2018 North Bay Business Journal's Award recipient for our newest offering, UX-520! UX-520 is red wine that can add color to your blend. We harvest vinifera wine grapes, in this case 2017 San Joaquin Valley Cabernet, and process them using flash détente to maximize color extraction. We press the juice off the skins and seeds so that bitterness and astringent aspects are left behind. Once fermentation is complete, we use Ultrafiltration to reduce the wines’ volume by at least 80%. Rich, dense wine for color addition that maximizes color pigments and minimizes volume, protecting your wines vintage, varietal, and appellation. Best of all, this is wine. No additives, no ingredients. Remember, as you are adding volume, you will recover the value of your blend with each gallon you add. Here is more good news. Winesecrets is equipped to create UX520 from any grapes provided. Contact us today to request a free sample! Winesecrets is here to help! Could A New Package Be Your Ticket To Growth? Winesecrets can give you the assistance you need to take your new product from the drawing board to the marketplace. Call today or visit our website to learn more! Winesecrets has partnered with Sonoma Valley Custom Wine to offer Drop-in, Drive-out Flash Détente service in Sonoma! Service minimum of 3 tons has already started for 2018. Are you looking for more color? Service minimum of 3 tons commencing September 17, 2018. On-site fermentation available. Could your wine use more color? UX-520 is red wine that will add color to your blend. We harvest vinifera wine grapes, in this case 2017 San Joaquin Valley Cabernet, and process them using flash détente to maximize color extraction. We press the juice off the skins and seeds so that bitterness and astringent aspects are left behind. Once fermentation is complete, we use Ultrafiltration to reduce the wines’ volume by at least 80%. Ultrafiltration divides red wine into redder wine and light pink wine. Alcohol and acids are the same in both wines. Rich, dense wine for color addition that maximizes color pigments and minimizes volume, protecting your wines vintage, varietal, and appellation. Best of all, this is wine. No additives, no ingredients, no additional sweetness. As you are adding volume, you will recover the value of your blend with each gallon of UX-520 you add. Here is more good news. Winesecrets is equipped to create UX-520 from your grapes during the 2018 harvest. Call to ask us how. Contact us to request a free 375ml sample that includes an attachment with a summary of the product and operators manual, laboratory analysis of the wine offered as your UX-520 sample, and color blending trial analysis of a UX-520 blending trial. Limited availability: Call to order soon! We are pricing our initial offering of UX-520 at $100.00 per gallon. Remember, as you are adding volume, you will recover the value of your blend with each gallon of UX-520 you add. Here is more good news. Winesecrets is equipped to create UX-520 from your grapes during the 2018 harvest. Call to ask us how. Winesecrets offers Premium Grape Spirits for alcohol addition and sanitation requirements. Distilled from wine, these products with three levels of alcohol content (170, 180 & 190 proof), will provide you with the alcohol you need to meet stylistic requirement. See detials below, or contact us if you have any questions. Are your production and scheduling needs leading you towards purchasing a dedicated system? From Boutique to Corporate, Winesecrets has the equipment fit for all sizes. To find out which Engineered Solution works best for your Winery, visit our updated website! Are you hearing “Hints of horse, copper penny…” or "The lovely aromas the wine exhibited when young are muted." If you can taste Brett in your wine, so can the critics. Winesecrets can guide you through this problem. Winesecrets offers many wine and beverage production services to include VA / taint removal, precision alcohol reduction, specialized filtration, Wine Harvested Grape Spirits / high-proof alcohol sales, bulk wine storage, Cider and Wine Fermentation / production services, New Beverage Incubation and packaging innovation services, Mobile Modular Beverage Tanks and we are a General Electric Water & Process Technologies Channel Partner. To learn more about our products and services and our veteran hiring and placement program please contact us at 1.888.656.5553, or via email at info@winesecrets.com. Visit Winesecrets on the web at www.winesecrets.com. American Winesecrets, LLC (Winesecrets), The Profressional's Choice for Advanced Winemaking Solutions is proud to announce that William Atwood, Business Services Manager, has been promoted to Director of Finance. Mr. Atwood has over 14 years of accounting experience to include working at a local public accounting firm for over 10 years, while there he earned his C.PA., a certification he has held for over 6 years. He worked primarily with local wineries and his interest in the wine industry grew. Bill came to American Winesecrets with five years' service in the United States Navy as a Lockheed Viking S-3B Aircrewman, and is a perfect addition to the Winesecrets team of veterans. "My position as Director of Finance enables me to help our company stay on the cutting edge of new technologies as well as strategically guiding the financial decisions of the Winesecrets now and into the future," says Bill. This past November, Winesecrets was honored to accept the Veteral Employer of the Year Award from the Sonoma County Employer Advisory Council. "Winesecrets is a small company. We rarely exceed 19 employees, but in the last five years we've hired 12 people with prior military service," says Winesecrets President, Eric Dahlberg. The company has made veteran hires a priority, roughly half of its personnel have a military background. Winesecrets has developed an on-th-job training program to provide incoming veterans with industry specific skills while working at its wine production facility. March 11, 2015, Sebastopol CA - American Winesecrets, LLC (Winesecrets), The Professional’s Choice for AdvancedWinemaking Solutions is proud to announce that William Atwood has joined their team as Business Services Manager for its Sebastopol, CA headquarters. Mr. Atwood has over 12 years of accounting experience to include working at a local public accounting firm for 10 years, while there he earned his C.P.A., a certification he has held for over 5 years. He worked primarily with local wineries and his interest in the wine industry grew. With a desire to be more involved in the wine industry, Bill transitioned to a firm who specialized in CFO and controller level consulting services where he filled the roll as Controller on site for several mid-sized wineries and worked with clients to provide timely and accurate financial reports. Bill comes to American Winesecrets with 5 years’ service in the United States Navy as a Lockheed Viking S-3B Aircrewman, and is a perfect addition to the Winesecrets team of veterans. “I’m excited to join a local company with such a strong commitment to helping veterans transition to civilian life. Moreover, I look forward to being an integral member of a growing company with a dedicated and professional management team.” says Bill. As a 2013 California Veteran Employer of the Year in the Small Private Business category, and nominated for 2014 as well, Winesecrets actively seeks to leverage the skills and education brought to the workplace by America’s Veterans. The company has made veteran hires a priority and approximately 50% of its personnel have a military background. Winesecrets has developed an on the job-training program to provide incoming veterans with industry specific skills while working at its wine production facility. "I am thrilled that a financial professional of Bill's caliber has chosen to join our organization" remarks Eric Dahlberg,” I see him playing an important role in our companies future growth” President of American Winesecrets. Winesecrets offers many outsourced wine production services to include VA / taint removal, precision alcohol reduction, specialized filtration, Wine Harvested Grape Spirits / high-proof alcohol sales, bulk wine storage, Cider and Wine Fermentation / production services, Mobile Modular Beverage Tanks and are a General Electric Water & Process Technologies Channel Partner. To learn more about our products and services and our veteran hiring and placement program please contact Eric Dahlberg at 1.888.656.5553, or via email at eric@winesecrets.com. Visit Winesecrets on the web at www.winesecrets.com. Winesecrets’ newest service brings mobile wine storage to your door! Harvest time presents numerous challenges beyond the logistics of picking, shipping, crushing, etc. One of these challenges is where to store wine from your previous vintages taking up the tank space needed for your current vintage. Winesecrets President, Eric Dahlberg, working with tank manufacturer Asep Trans, has brought an innovative solution to the table: Rapid Response Storage Tanks. Each 6300-gallon stainless tank comes in its own intermodal shipping frame for easy transport. The tanks are insulated and equipped with cooling jackets. You may connect with your current glycol system or you can order tanks with on-board refrigeration systems. The tanks include the necessary gas, electrical, and sanitizing fittings. These tanks can be used as storage for blending, small lot bottling, or for brokering wines that are low cost and need to move rapidly. Best of all, they can be promptly delivered to the bonded site of your choice. Rapid Response Tanks are set horizontally. They feature man-way access from the top and may be stacked (with some modifications) in order to minimize the footprint of multiple tanks vs limited bonded space. The tanks also feature easy access to product and inert gas ports on the front of the tank. In addition they have a locking cover for security if stored outdoors. Winesecrets had 80 tanks to begin with, but with the rapidly growing demand (including creating a temporary tank farm consisting of 56 units), these tanks won’t be available for much longer. Rates for the tanks are based on quantity and duration of rental/lease (3 month minimum). About Winesecrets: Winesecrets is North America’s leading source of innovative outsourced production services. Headquartered in Sebastopol, CA, they offer Precision Alcohol Adjustment, Proven VA and EA Removal, Premium Grape Spirit Sales, Targeted Taint Removal, Color & Flavor Optimization, Reliable Cross Flow Filtration, Efficient Tartrate Stabilization (STARS), Mobile Centrifugal Clarification, and Rapid Response Storage Tanks. Winesecrets Has Modular Insulated Tanks For Storage At Your Facility! 6,300 gallon capacity tanks are available for rent from Winesecrets. They are insulated with the option of glycol hookup or refrigeration, the perfect option in a bind! Call us at 888-656-5553 or Email Info@winesecrets.com For More Information! We wish to extend our most sincere thoughts and prayers to all of you, with wishes for a quick return to normalcy for all of you, our friends and family. Thankfully, operations at Winesecrets have been unaffected and we continue to provide our customers with the professional commitment you've come to expect. Our staff is standing by to meet your winemaking needs including short-term to extended bulk storage via mobile, insulated bulk storage tanks designed to hold 6,300 gallons each. Your place or ours? Your choice! Call us at 888-656-5553 for more information! August 22, 2014 -- The first load of grapes for the 2014 harvest arrives at Winesecrets. It's a beautiful load of chardonnay grapes for crush! Here at Winesecrets we're looking forward to another voluminous grape harvest. 2014 is posed to be another great year for fruit and we can't wait to help make the wine shine, everytime! Nervous About Smoke Taint In Your Wine? Winesecrets Can Help! To assist potentially alarmed winemakers we've prepared a list of Frequently Asked Questions on smoke taint as applies to our proven method of removal. In addition we've procurred some scholarly documents on the subject for your perusal. Q: What is your proven method of removal? Q:What lab analysis should I request if I suspect smoke taint in my wine? Q: How soon after exposure to smoke can Winesecrets filter with success? Q: When is the worst time for smoke exposure to grapes on the vine? Q: Do you offer a lab-scale trial for smoke taint removal? Our active Army Reserves member Timothy Neal joined the US Army in 2000 and has been a member of the Reserves since 2005 and served in multiple logistics duties. As a maintenance supply sergeant for the Army Reserve Construction Engineer Battalion, Tim plays a vital role in keeping the heavy equipment running. Here at Winesecrets Tim has taken well to wine handling and cellar work in our shipping and receiving department. He continues to soak it all up like a sponge and solidify himself as a valuable member of our team! For the month of July Tim will be deployed to Germany for Army Reserve Annual Training. As a requirement for reserve soldiers this annual training consists of spending a month at a US Army training base in the Bavarian wilderness...not really beer and schnitzel dinners as you may have pictured! Winesecrets is proud of our Veteran Hiring Program. Timothy is the only team member still actively serving and we intentionally are flexible to accommodate this necessary time off. We support our Reservists and National Guardsmen remaining engaged in their service duties while pursuing their new career with us in the wine industry. Proud to have an ongoing Veteran Hiring Initiative in place! Winesecrets is so proud to have an ongoing Veteran Hiring Initiative in place! The goal is to hire cellar-level employees who are service Veterans for the U.S. (all branches). Show them the ropes and get them trained up and Wine-Industry ready. From there they can graduate the Winesecrets Training Academy and move on to serve our fellow industry friends in wineries all over! Winesecrets has successfully seen six evolutions of the cycle -- that's SIX U.S. Veteran graduates of the Winesecrets Training Academy who have gone on to hold successful positions elsewhere, most often staying in the wine industry with their valuable foundation of experience in cellar shipping and receiving, protocols, housekeeping, and overall wine cellar best practices. In May 2014 Winesecrets was thrilled to bring two new Veteran hires on the crew! Timothy Neil has served in the United States Army from 2000 to today. He completed the Professional Leadership Development Course (the school for becoming a non-commissioned officer, NCO) and worked as an Automated Logistical Specialist. Timothy continues to serve in the Active Reserves, training with his unit domestically and abroad. Brandon Landon served in the United States Army from 2006 to 2010. He served as a Fire Team Leader in the Infantry and was deployed to Iraq for 14 months during 2007-2009. Brandon was Honorably discharged and is excited to start his career in the wine industry! The Current Veteran Staff At Winesecrets! Winesecrets' Annual SSU Summer Internship Underway For 2014! 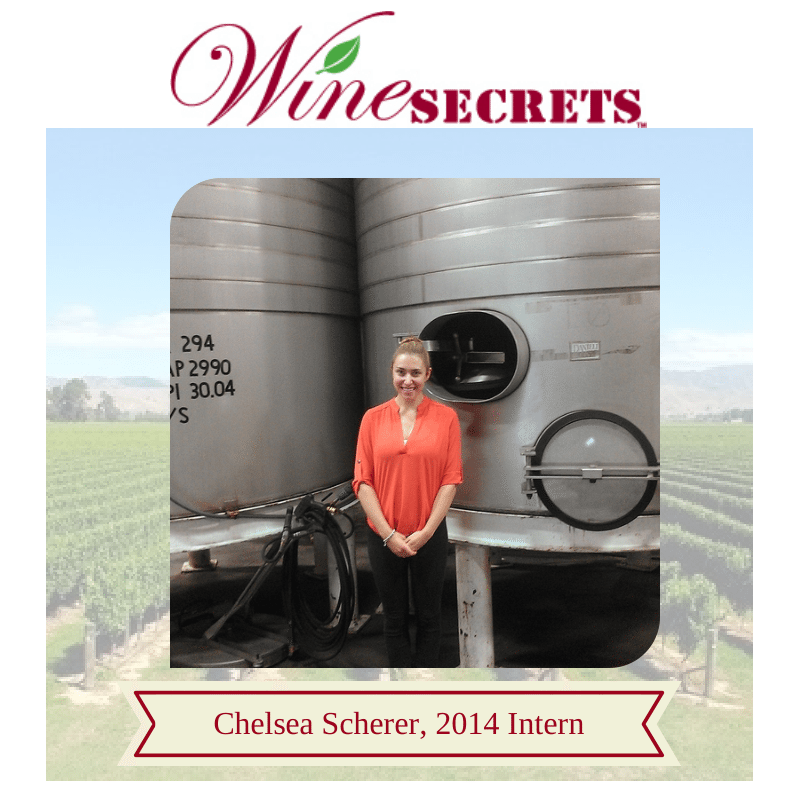 Winesecrets is honored to welcome our Summer 2014 Intern from Sonoma State University's Business Administration (Wine Business Strategies Concentration) Program, Chelsea Scherer! This is the second annual internship Winesecrets is spearheading, no reason not to after the success and fun we had with last year's interns! It's a win-win for us to have administrative assistance while also providing unmatched industry experience for students interested in Wine Business and the Wine Industry in general. We're happy to report that our two interns from last year have gone on to establish employment within the Wine Industry after a job well done for Winesecrets! As the rains pour in lovely New Zealand, Winemakers watch as their grape juice gets watered down more and more every hour. Taking advantage of the opposing seasonality of the United States and New Zealand's grape harvest times, Winesecrets is happy to offer assistance to our global wine service partners Vintech Pacific Ltd. Winesecrets founder and President Eric Dahlberg went for a vist last week to assess the situation and promptly had his team ship over a multitude of new Reverse Osmosis membranes to use for grape juice concentration, a techonology service offered by Winesecrets in critical times of urgency. 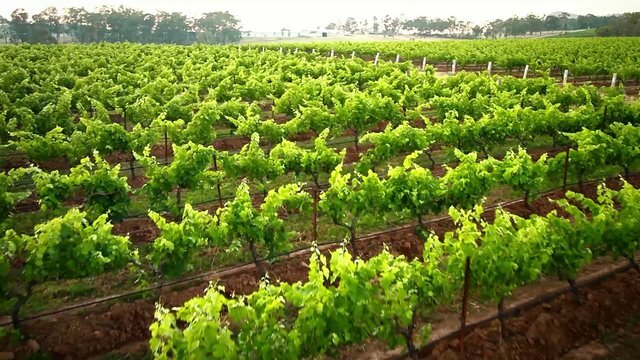 This process effectively removes the water added from the rains so that Winemakers can resume planning on the appropriate brix of their juice and the resulting alcohol percentage after fermentation completes. Phew! The New Zealand wine industry breathes a sigh of relief as 15+ Reverse Osmosis machines plug away. Winesecrets is proud to be a part of The Global Wine Industry that helps us become closer and see that it's a small world after all! American Winesecrets, LLC. (Winesecrets), North America’s leading wine filtration company, has hired Jim Tubridy as the services sales manager at its Sebastopol, CA headquarters. Tubridy has 18 years of Fortune 500 sales experience as well as recent wine industry experience as business development manager with centrifuge supplier Separator Technology Solutions LTD (STS). A former Marine, Tubridy provides Winesecrets with proven leadership skills and sales ability developed through stints with Novartis, Merck and Sunovion. Hailing from the Chicago area, a posting to the Marine Corps Air Station in Tustin moved Tubridy to California for the first time. After his honorable discharge, Tubridy returned to the Mid West to complete degree requirements for a BA in English from Northern Illinois University. Following graduation, Tubridy moved to San Francisco and worked with Gallo Sales for two years before moving to pharmaceutical sales. As a 2013 California Veteran Employer of the Year in the Small Private Business category, Winesecrets actively seeks to leverage the skills and education brought to the workplace by America’s Veterans. The company has made veteran hires a priority and approximately 40 percent of the personnel at Winesecrets have a military background. Winesecrets has developed an on-job-training program to provide incoming veterans with industry specific skills while working at its wine production facility. Winesecrets offers outsourced wine production services, to include VA and other taint removal, alcohol reduction, other specialized filtration, high-proof alcohol sales, and bulk wine storage. To learn more about the veteran hiring and placement program, contact Eric Dahlberg at 888-656-5553, or via email at eric@winesecrets.com. Visit Winesecrets on the web at www.winesecrets.com. American Winesecrets, LLC. (Winesecrets), North America’s leading wine filtration company, has hired Luke Bohanan as a Production Winemaker at its Sebastopol, CA winery. Mr. Bohanan is a recent graduate of University of California at Davis where he earned a Masters degree in Enology. He also holds a bachelor's degree in Chemical Engineering from Tulane. A former Army officer, Bohanan provides Winesecrets with proven leadership skills from tours of duty in Iraq and specific expertise in wine filtration and sensory science gained during his Masters research at the University of California at Davis. As a 2013 California Veteran Employer of the Year in the Small Private Business category, Winesecrets actively seeks to leverage the skills and education brought to the workplace by America’s Veterans. The company has made veteran hires a priority and approxomately 32% of the personnel at Winesecrets have a military background. Winesecrets has developed an on-job-training program to provide incoming veterans with industry specific skills while working at its wine production facility. Canadian Winesecrets, LLC. (Winesecrets), North America’s leading mobile wine filtration company, is supplying materials and manpower to the Alberta flood recovery effort. Winesecrets also announced that a portion of all sales for the remainder of the 2013 summer season will be donated the Alberta Floods Fund through the Canadian Red Cross. “Our thoughts are with all those affected by these devastating floods in Alberta,” Winesecrets’ President Eric T. Dahlberg said in a statement. On June 19, torrential rains began falling in southern Alberta, overwhelming ground already saturated from storms the previous week. Rain continued on June 20th, flooding the outlying Calgary communities of High River and Canmore. Evacuations in Calgary shift into high gear as the Bow and Elbow rivers continue to rise. About 75,000 are forced to flee the rising rivers. The Department of National Defence deploys soldiers to the flood zone to help out. Officials say at least three people have died in southern Alberta as a result of the flooding. Recover from the June floods could take 10 years and cost in excess of $10 billion. Winesecrets was founded in 2003 to bring STARS, an environmentally friendly solution for tartaric stabilization to the California market. The company established Canadian Winesecrets in 2004 to provide other filtration technologies to the Okanagan and Ontario wine regions, including Volatile Acidity Reduction, Brush-Fire Smoke and Brett Taint Removal and Alcohol Adjustment using Reverse Osmosis. Winesecrets also offers Ultra Filtration and Cross-Flow Filtration. To assist those in need with the recovery effort, contact the Canadian Red Cross or donate on-line at http://www.redcross.ca/donate/donate-online/donate-to-the-alberta-floods. Stuck Ferment? VA Removal Can Kickstart Fermentation and Get you Big Savings. Call Winesecrets to remove Volatile Acidity from ferments that just won't finish. Mention the phrase "Tax Relief" during the month of April and receive a $300 discount. Last season's lactobacillus bloom has resulted in high volatile acidity and fermentations that will not complete, leaving residual sugar in wine. This particular lactobacillus is producing VA that cannot necessarily be detected by aroma alone. Winesecrets' Reverse Osmosis VA removal can help. Yeast are inhibited by high volatile acidity. By reducing the VA concentration, fermentations can restart and complete to dryness. Winesecrets' reverse osmosis process has been used to recover wine flavor for the last 17 years. No "wine shear" from high pressure centrifugal pumps. Move past the stuck fermentations. Get tax relief at the same time. Call Winesecrets! For more information or to request services on-line, check out our website atwww.winesecrets.com. American Winesecrets, LLC. (Winesecrets), North America’s leading wine filtration company, has been awarded the Veteran Employer of the Year by the California Employer Advisory Council (CEAC) in the Small Private Business category. The CEAC Veterans Employer of the Year award recognizes employers who consistently demonstrate positive policies toward U.S. veterans in hiring and promotion, as well as through retention efforts, ongoing training, and benefits. Winesecrets earned the award for its recruitment efforts, training and successful placement of veterans in Sonoma County. Past award winners include PG&E, the FBI and Time Warner Cable. Winesecrets has 15 employees, 12 of which are in technical roles. The company has developed an on-job-training program to provide incoming employees with industry specific skills while working at its wine production facility in Sebastopol, CA. Winesecrets is committed to hiring and training veterans in these entry-level roles and then assisting them with placement in more prominent roles in the local wine industry. Winesecrets has hired seven veterans since January 2011, five of whom were discharged in the last five years. While most were hired into technical roles, veterans have also filled administrative and marketing roles at the company. Of the veteran hires, two have advanced to more challenging roles at local wineries while four remain with the company. The veteran hiring program and out-placement efforts have been spearheaded by Winesecrets President Eric T. Dahlberg (US Army, 1986 – 1989). According to Dahlberg, veterans arrive with an outstanding skill set, including technical and computer literacy, mechanical aptitude and motivation to excel at blue-collar jobs. “I am pleased that our company is able to serve those who have served.” says Dahlberg. Winesecrets was nominated by Claudio Calvo, the Sonoma County Veteran Employment Representative for the State of California Employment Development Department (EDD). According to Mr. Calvo, “Winesecrets is a perfect example of an employer reaching out to help veterans, especially those recently discharged. Veterans feel proud to be associated with this outstanding organization.” Winesecrets will be honored at the 2013 CEAC Veterans Employer of the Year luncheon award ceremony on May 9, 2013 in Ontario. Did you add some carbonate to smooth out your finish? Remember: even if a wine was cold stable, deacidification may render it unstable. By adding potassium or calcium carbonate, deacidification puts back the tartrate components removed through cold stabilization. Winesecrets' STARS (Selective Tartrate Removal System) stabilizes wine quickly, just in time for bottling. With a detailed analysis before treatment, STARS removes just the right amount of tartrate species to meet your stability requirements. Energy savings. Up to 95% more efficient than tank chilling. Wine savings. No wine loss from racking off tartrates. Labor savings. No tartrates to clean off of tank walls. Additive savings. No cream of tartar seeding. Restabilize quickly and keep your bottling date. Call Winesecrets! Winesecrets has announced a strategic relationship with Australia’s Diverse Barrel Solution Pty. Ltd. (DBS) to offer barrel restoration services to wine producers. Available in July, Winesecrets will operate the Phoenix system at its Sebastopol facility. Wineries ship barrels to Winesecrets for restoration by the Phoenix system or purchase Phoenix-processed barrels through Napa’s Premier Wine Cask, Inc. The robotic Phoenix system utilizes laser scanning and a high speed computer controlled cutting tool to remove up to 8mm of barrel surface to reveal clean oak. Each barrel is then infra-red toasted and provided two new heads, either French or American oak The Phoenix system has been shown to produce “like-new” performance from mature barrels. 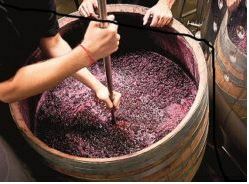 The system is so effective that even barrels previously containing red wine can be used successfully for white wine fermentation and maturation. "Barrel restoration by Phoenix is a precision-guided solution to the high cost of small cooperage” said Eric Dahlberg, Winesecrets Founder and President. “I am confident that our customers see this technology as one more way to control production costs without compromising quality." Diverse Barrel Solutions Pty Ltd was founded in Adelaide, South Australia in 2003 to offer a range of oak solutions to the global wine industry includingPhoenix, theOptima range of barrels made from 24 month country of origin seasoned French and American oak and theLe Grand range of Bordeaux & Burgundy style imported oak barrels. To schedule barrel restoration, or to learn more about this outstanding technology, please contact Eric Dahlberg at 1.888.656.5553, or via email ateric@winesecrets.com . To inquire about direct purchase of Phoenix-processed barrels, contact Eric Mercier at (800) 227-5625 or by e-mail ateric@premierwinecask.com. Visit Winesecrets on the web at www.winesecrets.com. Laccase is an enzyme formed by Botrytis cinerea on grape surfaces in the vineyard. It is a polyphenol oxidase and is responsible for browning in white wine and loss of pigmentation in red wine. High levels of rot during the 2011 harvest have resulted in laccase issues at many wineries. Unlike tyrosinase, the polyphenol oxidase (PPO) that is formed in the grape skin, laccase is an issue long after harvest has finished. Laccase is stable in alcohol, does not respond to SO2, reacts with many different wine components and cannot be fined away with bentonite. For a more detailed discussion of laccase in wine, please refer to the whitepaper posted on our website. Ultrafiltration (UF) removes both the enzyme and the polymerized phenolics at one time. With filtration of 50,000 Daltons, laccase and the polymerized phenolics it caused are removed from your wine. UF restores the intended flavor and color of wine affected by laccase and Botrytis. Laccase is an enzyme formed by Botrytis on grape surfaces in the vineyard. It is a polyphenol oxidase and is responsible for browing in white wine and loss of pigmentation in red wine. Winemakers are familiar with Tyrosinase, a polyphenol oxidase (PPO) that is formed in the grape skin. It is typically responsible for browning in white juice. Oxygen exclusion, SO2 or hyperoxidation are effective mitigation steps to avoid issues with tyrosinase. Laccase is stable in wine due to its alcohol tolerance. This make laccase a potential threat post-fermentation. The enzyme is resistant to SO2. High rates of SO2 can be applied to scavenge the oxygen in a wine, preventing the browning reaction. SO2 will not affect laccase and once SO2 is consumed, the enzyme will promote the phenolic polymerization reaction. Laccase can react with many substrates. Tyrosinase reacts with caffeic and coumaric acids. Once those are consumed, the reaction cannot proceed. Laccase can use a broad range of phenolics along with ascorbic acid as a substrate. Bentonite fining will not remove laccase. Laccase has an iso-electric point of 2.5. At wine pH, laccase has a negative charge. Bentonite has a negative charge and bonds with positively charged proteins to remove them during fining. The enzyme can be removed from juice or wine with Ultrafiltration at 50,000 Daltons. Ultrafiltration will remove the enzyme and the polymerized phenolics responsible for browning in white wine and loss of pigment in reds. To learn more about laccase treatment or to schedule Ultrafiltration for your wine, please contact Winesecrets. Graton, California – February 14, 2011 - Sonoma Wine Company, the North Bay Wine Country’s largest, full-service crush-to-bottle contract winery services provider has partnered with Winesecrets to offer cross platform services to their respective clients, providing the wine industry’s most comprehensive portfolio of services in California. Clients of both companies will now have the ability to be supported through the entire winemaking process; from sourcing and managing fruit, custom crushing and blending, bottling, labeling, barrel storage, bulk wine storage, and case goods storage services to a full spectrum of additional specialty vinification services. This newest partnership is a continuation of Sonoma Wine Company’s ongoing Strategy to develop strategic alliances with key supply chain service providers to assist client wineries with opportunities for improved efficiencies and reduced costs by providing a“one stop shopping” alternative. Previously, Sonoma Wine Company announced the formation of a strategic alliance with WTN Services™/The Winetasting Network, to offer a full service platform for Direct To Consumer fulfillment and compliance services, distribution and sales. The partnership with Winesecrets will provide winery clients with additional vital services that will compliment their custom crush requirements by providing Crossflow filtration, centrifugal clarification, spoilage taint removal via Reverse Osmosis (RO), Alcohol Adjustment , Velcorin Dosing, Ultrafiltration, , and STARS (electrodialysis for instant cold stabilization), services. Together, Sonoma Wine Company and Winesecrets becomes the ultimate in one-stop custom winemaking service. Mark Castaldi, General Manager Sonoma Wine Company, indicated, “We are very enthusiastic about the alliance that we have recently forged with Winesecrets. This new partnership allows us to provide in-house filtration and wine finishing services to our outside clients at an extremely competitive price by eliminating the need for our clients to transport their wines to an outside location and the added costs associated with double handling. Winesecrets is a leader in this field and offers some of the newest and most comprehensive technologies available”. Sonoma Wine Company is a full-service crush-to-bottle contract winery partnering with wine producers from all over Northern California to crush, ferment, barrel, bottle and warehouse wine programs of all sizes. With six modern facilities located in both Sonoma and Napa counties we can accommodate any size program. With superior customer service and a wide array of equipment including state-of-the-art crush facilities, over two million gallons of stainless cooperage, and six modern bottling lines, we can tailor our facilities and highly experienced staff to match your program so you can spend the time connecting with your distributors, building your customer base and growing your brands. At Sonoma Wine Company we have tailored our business to match the size of almost any wine program from private label to large contract producers. Whether you’re producing 500 cases or 500,000 cases, as your brand grows, we will always grow with you. Winesecrets was founded in 2003 to bring STARS, an environmentally friendly solution for tartaric stabilization to the North Ameican wine industry. Winesecrets other filtration services include Volatile Acidity Reduction, Brettanomyces (4EP/4EG) mitigation, and other taint removal. Winesecrets also provides mobile and fixed Alcohol Adjustment (at its Sebastopol, CA hub), Ultra Filtration, Cross-Flow Micro-Filtration and mobile centrifugal clarification. Other services include pH adjustment through bi-polar Electrodialysis, Thermo Flash must treatment and lees filtration via cross flow. Sebastopol, California – February 8, 2011 - American Winesecrets, LLC., North America’s leading mobile wine filtration company, announced a strategic relationship with Separator Technology Services, US Inc. to supply mobile centrifuge technology to wine producers. Available in September, American Winesecrets (Winesecrets) has two skid mounted Separator Technology Services (STS) 45 High Performance Clarifiers available on the west coast. The High Performance Clarifiers are a strategic fit for Winesecrets. The company is noted for improving wine making efficiency through both its mobile service offerings and its leading edge equipment sales technology. Winesecrets’ other filtration technologies include Volatile Acidity Reduction, Brush-Fire Smoke and Brett Taint Removal and Alcohol Adjustment using Reverse Osmosis, Tartraric Stabilization and pH Reduction using STARS, Cross-Flow Filtration, and Ultra Filtration. Mobile centrifuge is made possible by the unique skid mounted design. The STS skid allows for safe transport to customer site along with necessary leveling to assure optimal operation. Winesecrets considerable experience with delivery of mobile technology to wineries assures efficient, trouble free operation. The STS 45 is ideal for juice settling, primary fermentation lees removal, red gross lees settling and quick removal of malolactic and bentonite lees. The mobile unit will process juice and wine with fermentation lees at rates of 53 gpm while removing fine lees and bentonite at rates of 7 gpm. Winesecrets was founded in 2003 to bring STARS, an environmentally friendly solution for tartaric stabilization to the California market. In 2008, Winesecrets acquired Vinovation and its suite of filtration technologies. STS is a based in Melbourne, Australia with offices in France, South Africa and San Francisco. The company has over 25 centrifuge units in operation throughout the world including the largest producers in South Africa and the USA. To reserve your STS 45 for harvest or to learn more about this outstanding technology, please contact Eric Dahlberg at 1.888.656.5553. Sonoma, CA - - - October 28, 2010 - - -for immediate release - - - Carneros Vintners announced the availability of an artisan-scale version of Della Toffola’s Thermoflash system at their facility in Sonoma, CA Thermoflash technology was developed to improve extraction of color and to reduce unripe flavor characteristics prior to the fermentation of red wines. Treatment by thermoflash may prove beneficial for grapes whose maturity has been set back by recent rains, as it may boost the brix of treated must. To schedule grapes for processing with the artisan-scale Thermoflash, please call Caneros Vintners winemaker Dave Dobson at 707-933-9349. To schedule full production-sized lots at Lodi Vintners, please call Tyson Rippey at 209-368-5338. To learn more about Thermoflash or how this technology can streamline harvest operations, please contact Rick Jones at 1 707 319 1376, or via email atrick@winesecrets.com. Visit Winesecrets on the web atwww.winesecrets.com. Sebastopol, CA - for immediate release - Winesecrets, and Della Toffola, USA, subsidiary of the Della Toffola Group, announced the implementation of a demonstration scale version of the Thermoflash “Flash Détente” thermovinification system . Thermoflash streamlines red maceration by rapidly heating must and then cooling it instantaneously in a vacuum chamber. The treatment results in the rupturing of cell walls initiating an efficient breakdown of the structure of the berry. The demonstration-scale system will be operated in the Canada’s Niagara Region during this harvest season. “Thermoflash has key advantages over standard maceration,” said Maria Angela Guarienti CEO of Della Toffola, USA. “The system maximizes phenolic extraction while flashing off the pyrazines and denaturing damaging enzymes such as polyphenol oxidase. Thermoflash reduces skin contact time, improving efficiency during harvest,” added Guarienti. Thermoflash is a stand-alone system available from Della Toffola. Production-scale Thermoflash installations range in size from 5 to 60 tons per hour. Winesecrets was founded in 2003 to bring STARS, an environmentally friendly solution for tartaric stabilization to the North Ameican wine industry. Winesecrets other filtration services include VA Reduction, Taint Removal and Alcohol Adjustment, Ultra Filtration, Cross-Flow Micro-Filtration and mobile centrifugal clarification. The Della Toffola Group (Della Toffola S.p.A.) is a based in Treviso, Italy with subsidiaries in Spain, Australia, Chile, Argentina and Windsor, CA. The company has been supplying process equipment to the wine industry for over 40 years. To learn more about Thermoflash or how this technology can streamline harvest operations, please contact Eric Dahlberg at 1.888.656.5553, or via email at eric@winesecrets.com. Visit Winesecrets on the web at www.winesecrets.com. Wouldn’t you like to dial in the alcohol profile and unlock the potential of your wines? With Microstar, you can have bench top trials and find where your wines taste best (the “sweet spot” of your wine), so you can sculpt it to the way you want it. Alcohol Sweet Spot – you can get back lower alcohol wine to do your own lab trials, or get back a tasting sample series, so you can just taste and pick the right alcohol, or sweet spot, for your wine at your winery. Taint Removal trials – would you like to know what that wine would taste like without the taint (such as smoke, brett, or others)? We can run a sample through the unit and return them for you to evaluate. Winesecrets, North America’s leader in bringing innovative technology to the wine industry, proudly introduces Microstar, portable units for running trial lots, from Memstar Australia. Don’t forget – Winesecrets offers RO Services, Cross Flow micro filtration, Ultra Filtration and STARS wine stabilization as well. Sincere thoughts and prayers to those affected by the Napa Earthquake. modular insulated tanks, 6300 gallon capacity.